Included in over 243 National, International and Regional exhibitions since 1980. Participated in 23 invitational exchange print exchanges/portfolios since 1996. 2016: Adam Cave Fine Art, Gallery member print exhibition. Raleigh, North Carolina. 2016: Lillian Davis Hogan Gallery. Print exhibition, juried. Saint Mary's University of Minnesota. 2015 Southern Graphics International Member's Traveling Exhibition 2015-2018. Knoxville Tenn.
2014 "Color Blind", Art work in Black and White. The Arts Council, Fayetteville North Carolina. 2014 1st. Annual Fayetteville Contemporary Art Exhibition. Ellington - White Contemporary Art Gallery. Fayetteville North Carolina. 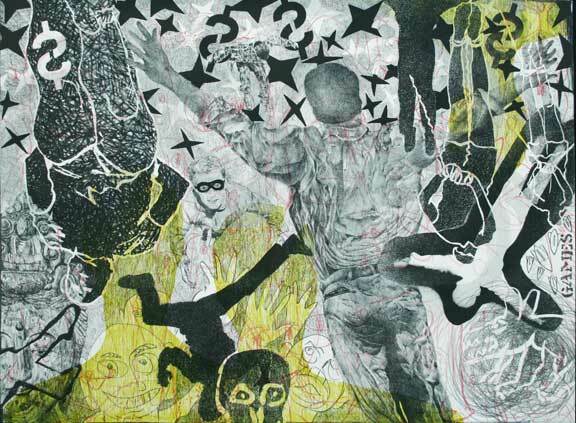 prints by 31 printmakers submitted to the Southern Graphics Conference in Knoxville, Tennessee. Community College, Southern Pines, North Carolina. 2013	“Printmakers of North Carolina”, Members group exhibition. 311 Gallery, Raleigh, North Carolina. 2013 Group Print Folio exhibition. Invitational. Lord Hall Gallery, University of Maine, Orono Maine . 2013 “Printmakers of North Carolina Print Exchange. Members group event. 311 Raleigh, North Carolina. exchange between three universities in Columbia and four universities in North America. exhibited at the Southern Graphics Conference in New Orleans. Harnett Museum of Art, University of Richmond Museums. 2011 “East Meets West”, Prints by Janette K. Hopper & Ralph L. Steeds. Print Arts Northwest Gallery. Washington County Art Museum, Portland Oregon. 2011	Current Trends in Print. Elon University. Isabella Cannon Gallery, Elon, North Carolina. 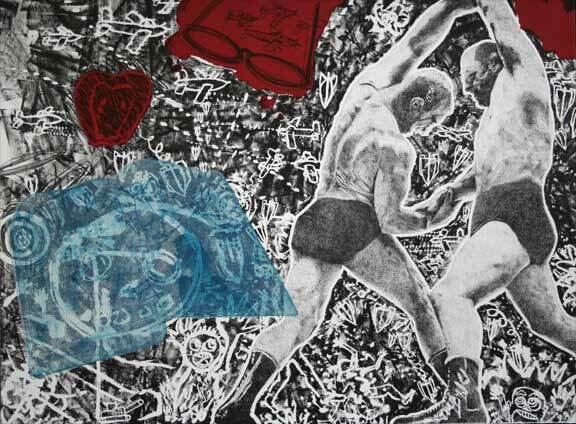 2011 “Print Spiva”, (Synthesis) George A. Spiva Center for the Arts. Invitational. Museum & Art Gallery. Penang Malaysia. 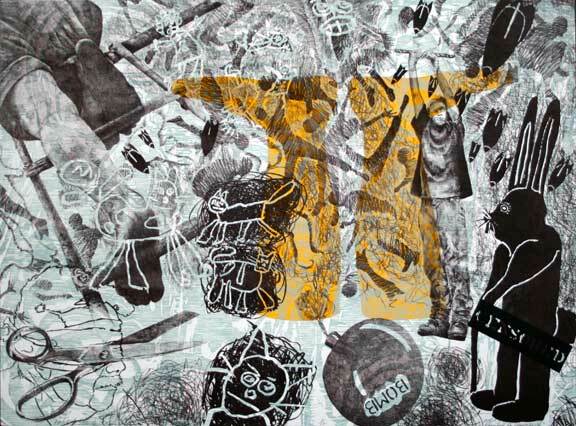 2010 "Printed Image III", show, Mulvane Art Museum in Topeka KS. Work accepted : Sand Man 4 am. Golem Released,Lithograph & Relief and Raining for Democracy, lithograph& relief. 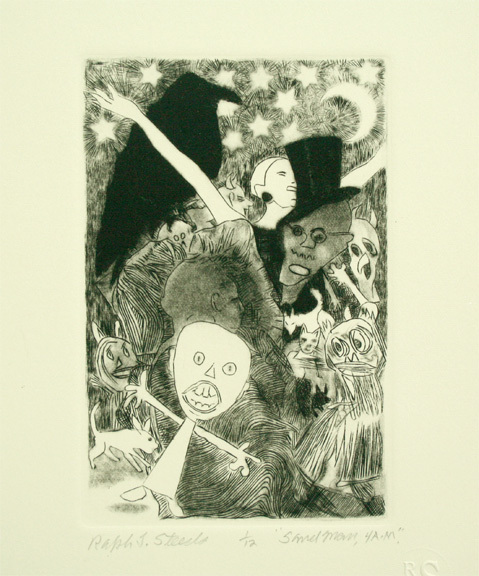 and "Our Dark Reflections", Lithograph from stone. effects of terror impact the way we feel about each other as humans. It is dedicated to the memory of Benezir Bhutto. It is a portfolio using any hand pulled printmaking medium in an edition of30 prints. "At What Cost?" Color Lithograph and Relief, 11x14. "The Golem Released" Color Lithograph. Angeles Municipal Art Gallery. Work accepted - Strange Signs. Color lithograph, 26x23in. two relief plates. ed. of 20. 15x11in. 2009 AMERICAN PRINT 2009, National Juried Competition, Foothills Art Center, Golden Colorado. 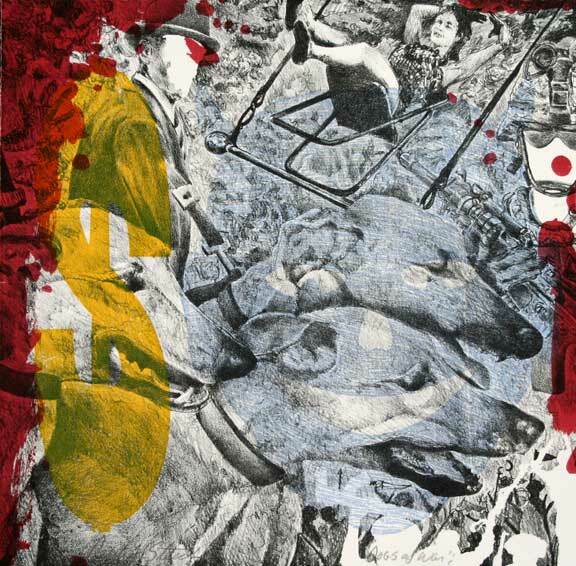 "Dogs Of War"' lithograph & relief. 2009 Highland Museum Of Art, MOTA, National juried completion. Inverness, North Scotland. "But No More Music Could Be", lithograph. 2008 Pacific States National Biennial. University of Hawaii at Hilo. Campus Center Gallery, Hilo, Hawaii. 2008 Southeastern Juried Print Exhibition, Mobile Museum of Art. Mobile Alabama. and IMNRC Carpinteyro Gallery Mexico City. paintings. The art department art gallery. 2007 Print Zero Studios Print Exchange #5, 291 Printmakers from 17 countries. Pacific Northwest College of Art. Portland Oregon. 2007 One person exhibition, 208 Gallery, Fayetteville Museum of Art, Fayetteville, North Carolina. 2007 Current Work, 2007 a National Competition, Fayetteville North Carolina State University. Fayetteville North Carolina. Merit Award. University art gallery. Joplin Missouri. 2006 Art Department Faculty Exhibition, Art Gallery, Locklear Hall, University of North Carolina at Pembroke. 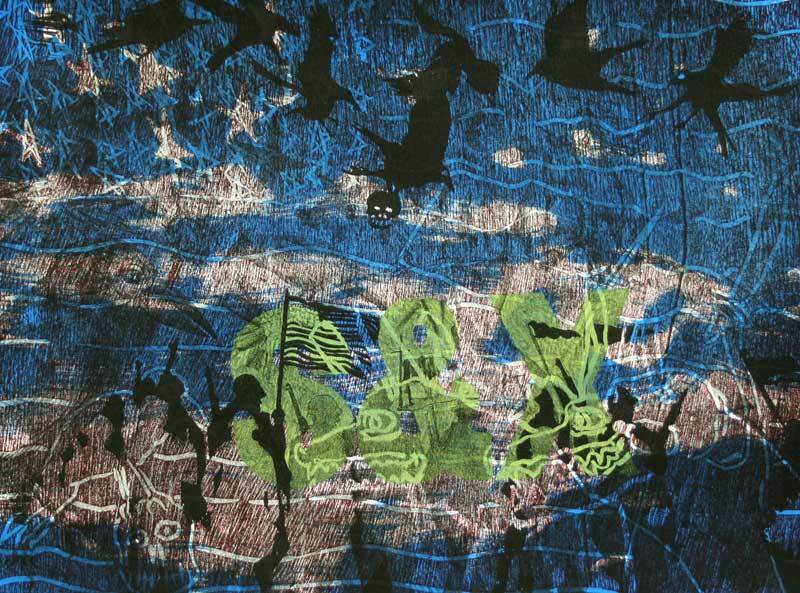 2006 Watermark 2006, works on paper. Southeastern Community College, Whiteville, North Carolina. 2006 Harnet Biennial of American Prints, Joel and Lila Harnett Museum of Art. University of Richmond Museums, Richmond Virginia. 2006 27th Annual Paper in Particular National Exhibition. A national Juried Competition. Columbia College, Columbia, Missouri. 2005 “Anrodexterous”, Portfolio, An invitational Portfolio exhibited during the 2006 Southern Graphics Conference, at The University of Wisconsin-Madison. Shown at the COS Art Gallery and the Kohler Art Library. 2005 4th. Lessedra World Art Annual (International) Print Exhibition. Bulgaria. 2005 “Beat for Jesus”, Portfolio, An invitational portfolio exhibited during the 2005 Southern Graphics Conference, At the Corcoran School of Art. 2005 Art Department Faculty Exhibition, Art Gallery, Locklear Hall. The University Of North Carolina at Pembroke. 2005 Two group shows as a member of the North Carolina Printmakers Guild. The Carol Woods Art Gallery, Raleigh-Durham, N.C. The Horace Williams House, Chapel Hill, N.C.
2004 Invitational, Group Show as a member of the North Carolina Printmakers Guild, The Durham Art Guild, Durham, North Carolina. 2004 The 32 Annual Competition for North Carolina Artist Exhibition, Fayetteville Museum of Art, Fayetteville NC. 2003 Minnesota National Print Biennial, University of Minnesota Art Museum, Minneapolis Minnesota. 2003 AIT Gallery Invitational, Friends of the Arts, Presented by the Fayetteville Museum of Art. Columbus County Arts Council at the Columbus County Arts Center. Whiteville, NC. 2003 37th Annual National Drawing and Small Sculpture Show. Del Mar College, Corpus Christi, Texas. 2003 Current Work 2003: A National Competition. Rosenthal Gallery, Fayetteville State University. Of Art, Seoul, South Korea. 2002 Two One Man Shows, Tyler School Of Art/ Temple University. Philadelphia, Pa. Portfolio for the American Print Alliance. National touring exhibition. Council. Fayetteville, North Carolina, Jurors award, Second place Prize. 2001 Painting 2001 internet Exhibition an International Juried online competition. Period Gallery, Leavenworth, Omaha, NE. Three paintings were included in this exhibition. Southeastern Community College. Whiteville, North Carolina. University of North Carolina at Pembroke, North Carolina. 1999 One Man Show, Mixing Metaphors, Art Gallery, Art by Design, Laurinburg, North Carolina. 1999 Evening Mondrain, Collectors choice, Fayetteville Museum of Art, Fayetteville, North Carolina. 1999 Michael Voors and North Carolina Printmakers, A survey of contemporary North Carolina Prints. Fayetteville Museum of Art. Invitational. 1999 33rd Annual National Drawing and Small Sculpture Show. Del Mar College, Corpus Christi, Texas. 1999 11th Biennial National Print Show at the Payne Gallery, Moravian College, Bethlehem Pennsylvania. Cumberland County, Fayetteville North Carolina. First prize. 1999 Water Works a collection of watercolors. The Arts Council of Fayetteville/ Cumberland County. Fayetteville North Carolina. Invitational exhibit. 1998 A Southeastern Spectrum Associated Artists of Winston-Salem, North Carolina. Juried. 1998 Border Biennial, Museum of York County, Rock Hill, South Carolina. Juried. 1998 32nd Annual National Drawing and Small Sculpture Show. Del Mar College, Corpus Christi, Texas. 1997 25th Annual Competition for North Carolina Artists. Fayetteville Museum of Art. North Carolina. 1997 Southeastern Spectrum Associated Artists of Winston-Salem, North Carolina. Art at the University of Alabama. worked in Oklahoma at some time. 1995 Group Drawing Invitational Exhibition. MUSEO DEL BARRIO in New York City. The exhibition was sponsored by the Metropolitan Museum of Art. 1993 “Watercolor U.S.A.” A National Competitive Exhibition. Springfield Museum, Springfield, Missouri. 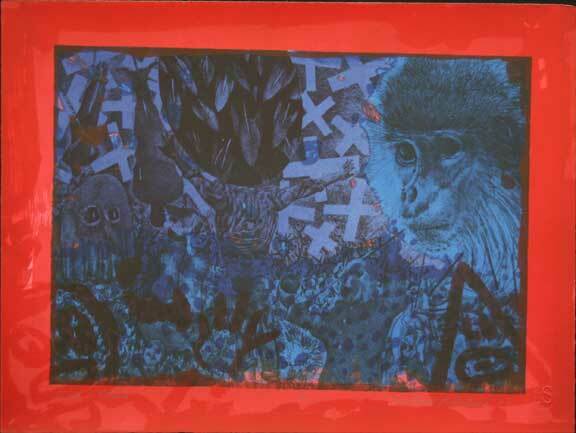 1992 “Mixing Metaphors and Paradoxes”, Two Man Exhibition, Fayetteville Museum of Art. Ralph L.
Steeds and Paul Van Zandt. 1992 Group Exhibition, “Green Hill Winter Show”, Green Hill Center for North Carolina Art, Greensboro, North Carolina. 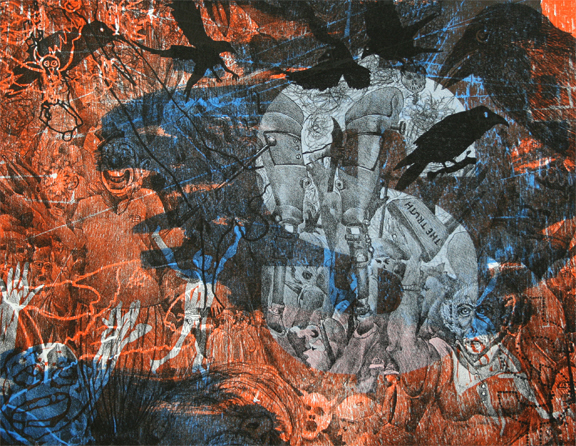 1992 Lithography: True Fine Art Printing, Group Print Exhibition, Hickory Museum of Art. Sponsored by Winstone Press. 1992 26th Annual National Drawing and Small Sculpture Show. Del Mar College, Corpus Christi, Texas. A National Competitive Exhibition. Juried. Purchase Award. 1992 20th Annual Competition for North Carolina Artists. Fayetteville Museum of Art, Fayetteville, North Carolina. Juried. 1991 19th Annual Competition for North Carolina Artists, Fayetteville Museum of Art, North Carolina. Juried. 1991 Steele Marsh National Juried Print Exhibition Hunterdon Art Center, Clinton, New Jersey. 1991 Artists and Printers Exhibition at Appalachian State University at the Catherine Smith Gallery. 1990 Two Man Exhibition, Ralph L. Steeds and Paul Van Zandt, St. Andrews College, Laurinburg, North Carolina. 1990 Group Print Exhibition, Invitational, Toured Poland and West Germany for one year. 1990 Pembroke State University Faculty Art Exhibition. 1989 4th Annual Members Exhibition of the North Carolina Print and Drawing Society, Charlotte, North Carolina. 1988 Group Exhibition, Methodist College, Invitational Exhibition for the Mallett‑Rogers House. 1987 Annual Competition for North Carolina Artists, Fayetteville Museum of Art, North Carolina. 1987 Group Exhibition, “Green Hill Winter Show”, Green Hill Center for North Carolina Art. by the Berk County Arts Council. 1986 Pembroke State University Faculty Art Exhibition. 1986 Group Exhibition, “Green Hill Winter Show”. Green Hill Center for North Carolina Art. 1985 Group Exhibition, “The Printed Image”, More Than Meets The Eye”, Green Hill Center for North Carolina Art. 1985 One Man Exhibition, Chelsea Gallery, Western Carolina University, North Carolina. 1983 Group Exhibition, Ben Pickard Art Gallery Inc., Oklahoma City, Oklahoma. 1983 Group Exhibition, Van Straaten Gallery. International Art Exposition, Chicago, Illinois. 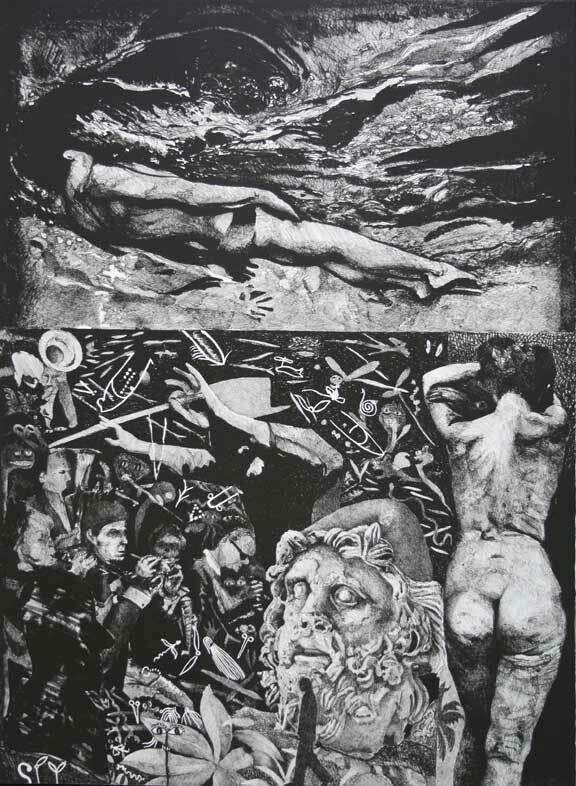 1982 Missouri, Print Bi‑Annual, National Juried Printmaker’s Exhibition. 1982 Terrance Gallery, National Juried Artists Exhibition. Plainville, New York, Purchase Prize. 1981 North Carolina, Water‑color Invitational, High Point Art Gallery, High Point, North Carolina. 1980 9th Annual Competition for North Carolina Artists, Fayetteville Museum of Art, Fayetteville, North Carolina. Cash Prize. 1980 Group Print Exhibition, Invitational, “Sidney Chafetz and Friends”, Toured Yugoslavia for one year. 1980 Two Person Exhibition, Steeds and Van Zandt, the Jailhouse Gallery, Morganton, North Carolina. 1980 Fourth National Print Exhibition, on/of Paper, Invitational, the Visual Arts Center of Alaska, Anchorage, Alaska. 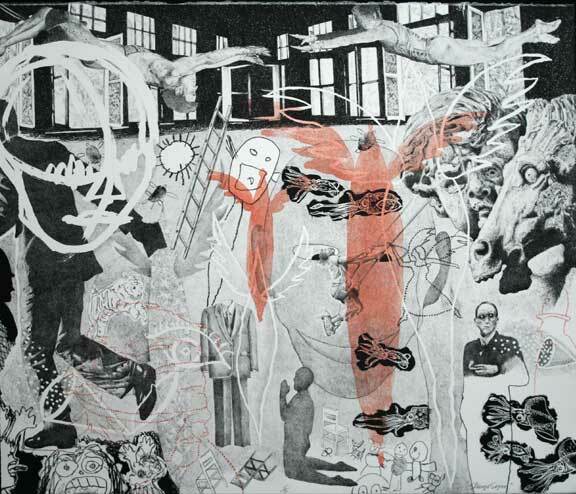 1979 Group Print Exhibition, “American Prints”, toured several major Art Galleries in London, England for one year. 1979 Group Print Exhibition, Invitational, and Tokyo, Japan. 1979 Third North Carolina Artists Invitational, Rowan Art Gallery, Salisbury, North Carolina. 1979 Two Person Exhibition, Walker & Steeds, The Greenville Art Center, (Affiliate of the North Carolina Museum of Art) Greenville, North Carolina. 1979 Annual North Carolina Artists Exhibition, North Carolina Museum of Art, Raleigh, North Carolina. Juried. 1979 21st Annual National Exhibition of Prints and Drawings, Oklahoma Art Center, Oklahoma City, Oklahoma. Juried. 1979 “Eggsibit” 3rd Annual Eggsibit, Invitational, Local and National Invitational Exhibition, Pittsburgh, Pennsylvania. 1978 Seattle National Print and Drawing Competition ‑ Seattle, Washington. Purchase Prize. Juried. 1978 University East, Carolina Faculty, Invitational Exhibition, Southeastern Center for Contemporary Art, Winston‑Salem, North Carolina. 1978 46th Southeastern Competition, Drawing, Photography and Printmaking, Southeastern Center for Contemporary Art, Winston‑Salem, N.C.
1978 Color Print U.S.A., Department of Art, Texas Tech University, Lubbock, Texas. Juried. 1978 7th Annual Competition for North Carolina Artists, Fayetteville Museum of Art, Fayetteville, North Carolina. Juried. 1978 One Man Show, Prints and Drawings, the Arts and Crafts Center of Pittsburgh, Pennsylvania. 1977 Hawaiian International Print Exhibition. Juried. 1977 6th Annual Competition Fayetteville Museum of Art, Fayetteville, North Carolina. Juried. 1976 Color Print U.S.A., Lubbock, Texas, Texas Tech University. Juried. 1976 One Man Show, North Carolina Museum, Fayetteville, North Carolina. 1976 All North Carolina Exhibition, Raleigh, North Carolina. Juried. 1976 Four Man Show, Morningside College, Sioux City, Iowa. Invitational. 1975 National Exhibition of Prints and Drawings, Oklahoma Art Center, Oklahoma City, Oklahoma. 1975 All North Carolina Exhibition, purchase award, Fayetteville, North Carolina.